Welcome to my Music Diary – today for the 13th September! On the 13th September in 1949 Mr. Frederick Dewey Smith aka Fred „Sonic“ Smith was born in Detroit, Michigan (USA). Smith was guitarist and member of the legendary band MC5, which he founded with Wayne Kramer in 1964. The bandname reflected their Detroit roots (it was short for „Motor City Five“). MC5 recorded three albums: „Kick Out the Jams“ (1969), „Back in the USA“ (1970) and „High Time“ (1971). On the 31st December 1972 the last concert of the MC5 happened. Later, Fred „Sonic“ Smith“ founded with Scott Morgan (ex-The Rationals), Gary Rasmussen (ex-The Up) and Scott „Rock Action“ Asheton (ex-The Stooges) his new group called Sonic’s Rendezvous Band. In 1977 the Single „City Slang“ was released and one year later the band did the support for Iggy Pop on his Europe tour. 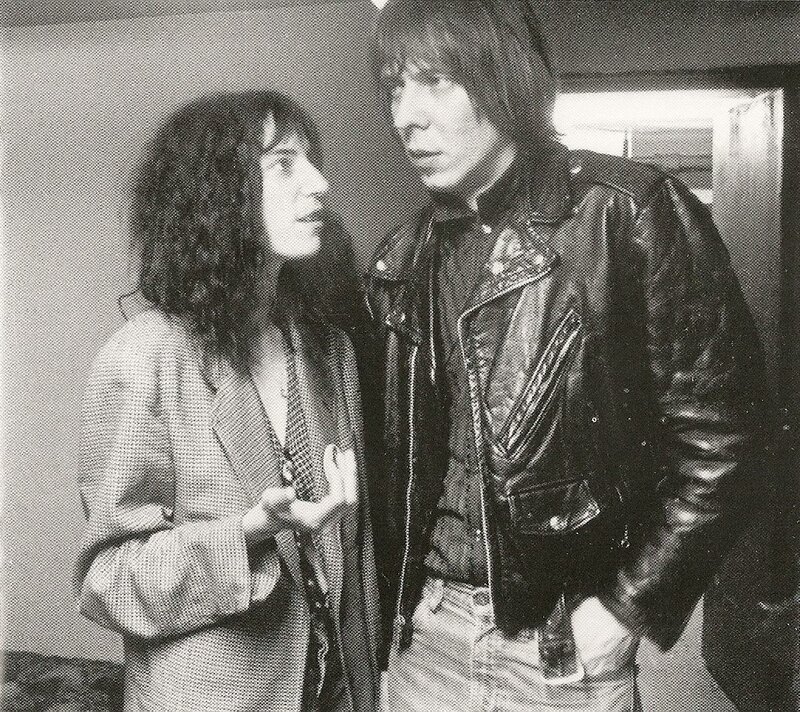 In 1980 Fred Sonic Smith married Patti Smith. They settled down and had two children: Son Jackson (born in 1982), who later married The White Stripes drummer Meg White in 2009, and daughter Jesse (born in 1987). In 1988 Patti Smith’s comeback album „Dream of Life“ was released which features Fred Sonic Smith doing the procuction and playing the guitar. On the 4th November 1994 Fred „Sonic“ Smith“ died of a heart attack – he was only 45 years old.